On September 4, 1886, the Apache chief (Chiricaua) Geronimo surrendered with only about thirty of his warriors before a contingent of American troops totaling 5,000 men. Such was the fear that awakened in Whasington his last escape. There is hardly anyone who has not seen a movie made in Hollywood about this Apache chief and the cavalry troops. However, few will have heard how in 1779 fifteen Spanish soldiers, members of the dragons de cuera, defeated in Tucson (Arizona) 300 Apaches. This is his story. …. 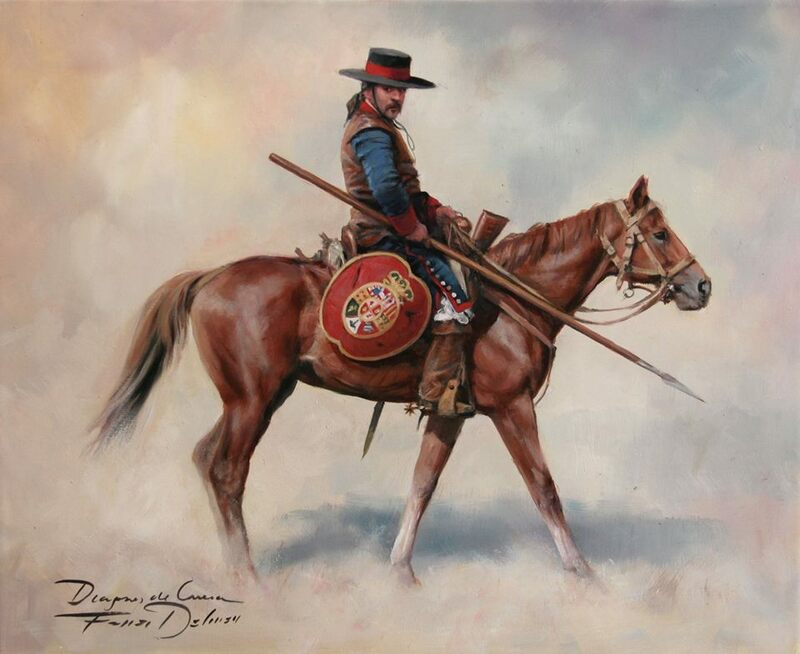 Los Dragones de Cuera ….were hard frontier men. All volunteers were enrolled for a period of 10 years. They were armed with spear, shield, sword, dagger, pistol and musket / carbine. Its name is due to "la Cuera", a kind of shelter / armor made with hard animal leathers. This coat that at the beginning also covered the legs did not have sleeves and was very resistant. Made with up to 7 layers of leather it was able to stop an Indian arrow. Initially it was worn only by the officers, then it was incorporated as the clothing of the whole troop. He wore no sleeves and over the centuries he switched to a lighter model that only covered the torso as a shell. Returning to the attack on Tucson in 1779, the Apaches, confident of their numerical superiority, did not have the experience and courage of the dragon dragons. Instead of taking refuge in the prison, they decided to be the ones who launched the attack against the surprised Indians who, astonished, could not believe what their eyes saw. The result was that the Spaniards killed their leader and stuck their heads in a spear so that all the attackers could see it well. This caused the Apaches to flee in terror from Tucson. In 1782 the Indians returned to the charge, this time around 600. To their dismay they found 45 soldiers and 20 dragons. The result was the same as in 1779…"